When it comes to the sun, everyone should stay safe but if you have fair skin, sometimes it seems like you should just stay indoors and plan on being pale for the rest of your life. If that sounds like you, we have great news. We researched some of the best sun lotions for fair skin out there and put together this review to help you find one that meets your needs. First, let’s look at some of the key features to remember. Sunscreen: Some of these formulas are meant to be worn outside as protection and have a sunscreen that ranges from SPF 8 to SPF 30. Others are self-tanners ideal for indoors that don’t provide any sun protection. Bronzer: A lot of self tanning lotion for fair skin use bronzers to help achieve a tanned, natural look. While they work well, we know that some people prefer lotions without so we included a mix so there’s something for everyone. 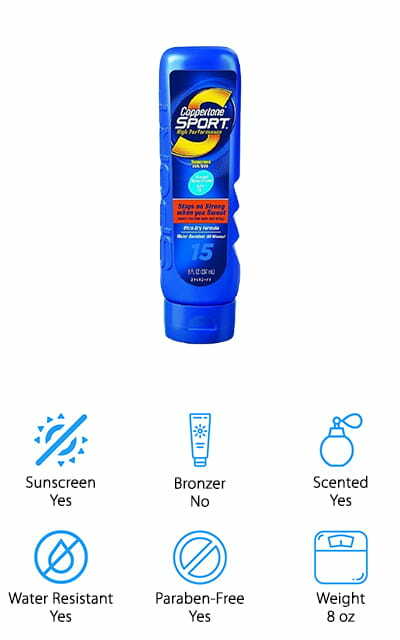 Scented: There are only a few products that we considered “unscented” and, to be honest, some of them even smelled a little like sunscreen. Scented doesn’t mean that anything has been added. Most of the time, it comes from natural ingredients. Water Resistant: Most of the products that are made for outdoor use are water resistant for up to 80 minutes. You usually have to apply them about 15 minutes before you go in the water. Some of them are even considered reef safe. Paraben-Free: All of these products are paraben-free. Parabens were a preservative used in beauty products and lotions that were shown to potentially cause breast cancer so they’ve been removed from most modern products. Weight: These products range a bit from 4 to 13.5 ounces. Bear in mind, though, that these lotions are different consistencies. They come in lotions, creams, and even a spray so some of them will require that you use more product. Now that you know what to look for, let’s jump into our product reviews. Here’s the deal, we put our top and budget picks right at the top of the list so that you can get a good idea of the variety that’s out there even if you’re in a hurry. Stick around if you can, though. Whether you’re looking for the best bronzer tanning lotion for fair skin or sunscreen to wear to the beach, you’ll find it here. Okay, let’s go! A good tanning lotion for fair skin that we put in our top spot is Bahama Tan Control Your Glow. First of all, it’s really easy to use. All you have to do is apply it daily until you reach your perfect shade. This formula won’t cause any streaking or blotchiness and won’t turn your skin orange. Best of all, you’ll get a great tan without risking sun damage. Best of all, you can use it on your hands, feet, face, and body so you don’t have to buy multiple products. This formula is loaded with natural ingredients like shea butter and argan oil and is free of mineral oils, lanolin, parabens, and harsh chemicals. 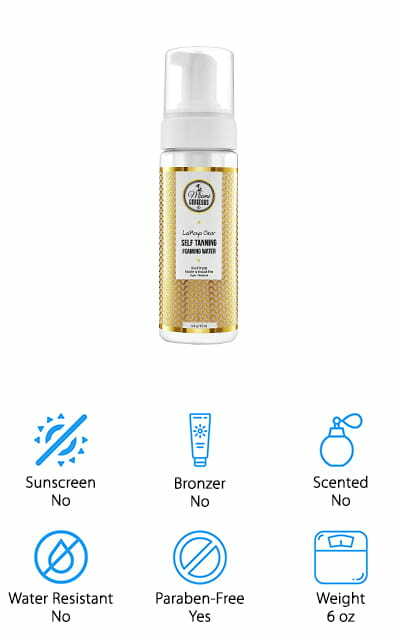 There are no scents added, either, though this best self-tanning lotion for fair skin does have a natural light coconut scent. 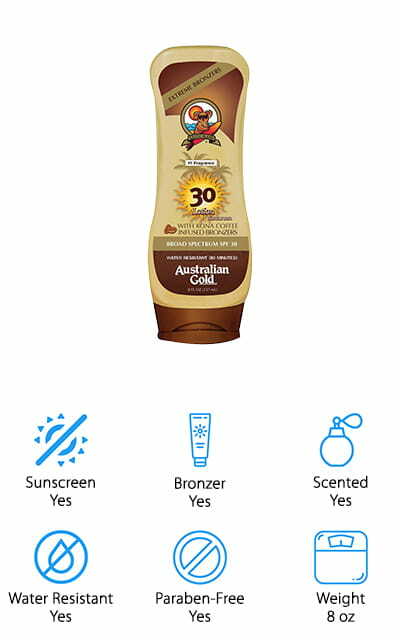 For the best tanning lotion for fair skin that’s really affordable, check out our budget pick, Australian Gold SPF 30 Lotion. This product provides broad spectrum UVA and UVB protection with SPF 30 in an oil-free formula that shouldn’t clog your pores. In fact, it actually feels pretty good on your skin and has a light, fresh coconut scent that isn’t overwhelming. Because this product is infused with bronzer, it gradually gives color to your skin while protecting you from sun damage. It won’t leave behind streaks or turn your skin orange because it mimics the natural tan color of your skin and lasts for anywhere from 4 to 7 days. It works on your face, body, hands, and feet, too, so you don’t need to worry about using any additional products. 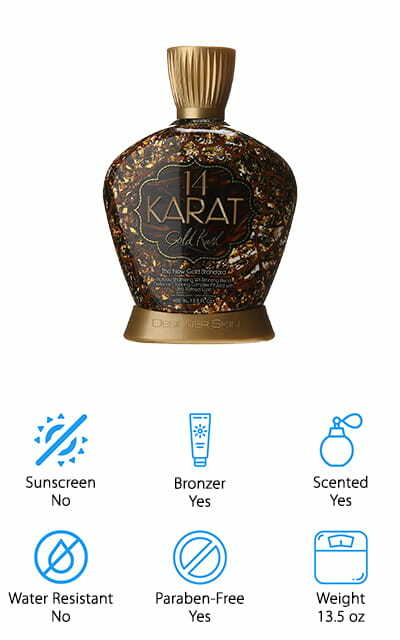 A good choice for the best indoor tanning lotion for fair skin is this bronzer from New Sunshine called 14 Karat Gold Rush. It features a scientifically designed tanning complex that can help your skin get to the next level of tan. What’s in it? It uses an optimal mix of intensifiers, DHA, and erythrulose that actually builds on your existing color to help you get a deeper tan. It’s good for you skin, too, because it’s loaded with hyaluronic acid and omega-3’s that moisturize and smooth and it has a fresh, gilded citrus scent. This is meant for experienced tanners who have reached a tanning plateau and need a little bump to get to the next level. Best of all, it does it without exposure to harmful sunlight and doesn’t leave you looking orange or streaky. 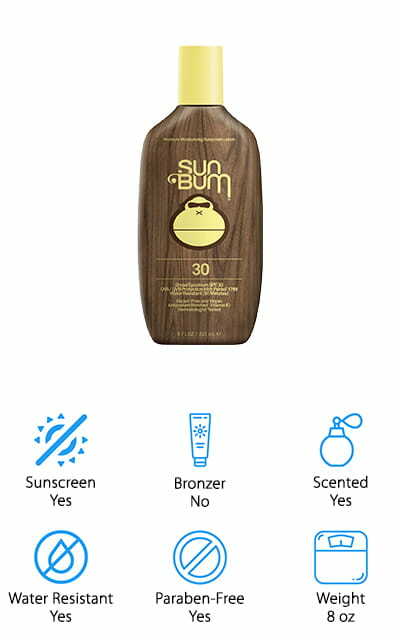 Sun Bum Original Sunscreen Lotion is the best outdoor tanning lotion for fair skin that we found in our research. This broad spectrum lotion is SPF 30 and provides protection against UVA and UVB rays. It’s also water resistant for up to 80 minutes which is why it’s so good for outdoor use and an especially great choice for the beach or the pool. This formula is vegan-friendly and made using reef friendly ingredients that won’t affect any ocean life. It has a nice light tropical scent that won’t clog your pores plus it’s hypoallergenic which makes it perfect for fair, sensitive skin. It’s paraben free and cruelty-free, too. Sun Bum follows the recommendation of the American Cancer Society and is approved and recommended by the Skin Cancer Foundation. Another great tanning lotion for fair skin is Beauty by Earth Sunscreen Lotion. This is a mineral based SPF 25 sunscreen that’s effective immediately. It’s not only good for sensitive skin, but it’s also safe for children and babies and a great choice for athletes or people who spend a lot of time just lounging on the beach. It’s non-greasy and spreads on quickly and easily. This formula is earth and marine friendly and was designed to be environmentally safe and biodegradable. There are no parabens, chemical fragrances, or harsh chemicals but it is loaded with things that are great for your skin. Like what? Organic Aloe Vera juice, coconut oil, shea butter, argan oil, and cucumber extract, just to name a few. Not only does it protect your skin from the sun, but it also moisturizes and hydrates, too. 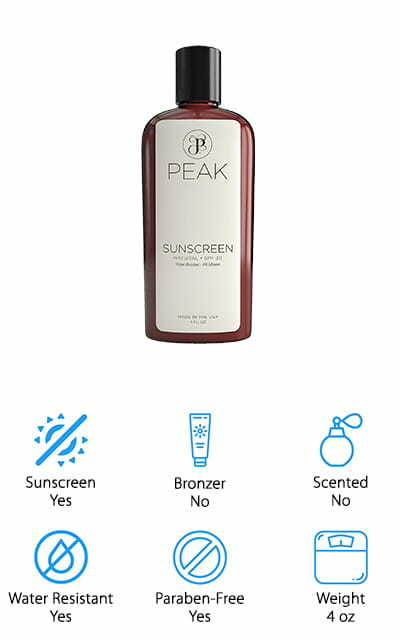 Peak Products Mineral Sunscreen is another good pick if you’re looking for something to use outdoors. This SPF 30 formula is chemical free and made will all-natural ingredients including aloe vera, beeswax, green tea extract, and coconut oil. This sunscreen is so gentle, it’s ideal for sensitive skin and can even be used with young children. There’s more, it’s also water resistant for 80 minutes and is coral and reef safe so you can snorkel and swim in the ocean without harming any of the living things around you. It’s non-sticky, non-greasy, and won’t clog your pores or leave your skin feeling oily. Because it’s mineral based, it comes out of the tub as a thick white cream that rubs into your skin completely and is instantly effective. It has a slight scent that comes from the all-natural ingredients. 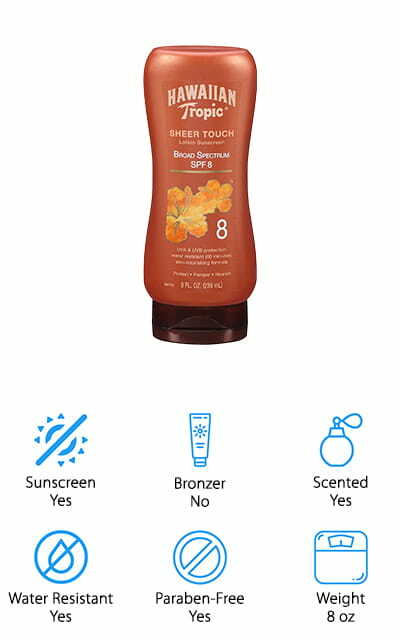 This Hawaiian Tropic Tanning Lotion provides just a little bit of sun protection that can prevent burns and sun damage during short periods outside in the sun. It’s SPF 8 and made using exotic botanicals and extracts. It’s waterproof for up to 80 minutes if applied properly and contains ingredients like aloe vera extract, mango extract, and papaya extract to keep your skin soft and moisturized as well as protected. This blend absorbs quickly into your skin without leaving behind any sticky or oily residue. One more thing, it’s reef safe so you can wear it into the ocean without having to worry about whether or not it’s getting into the water and effective the plant and animal life around you. This product comes in the classic Hawaiin Tropic bottle and has a classic, light coconut scent. 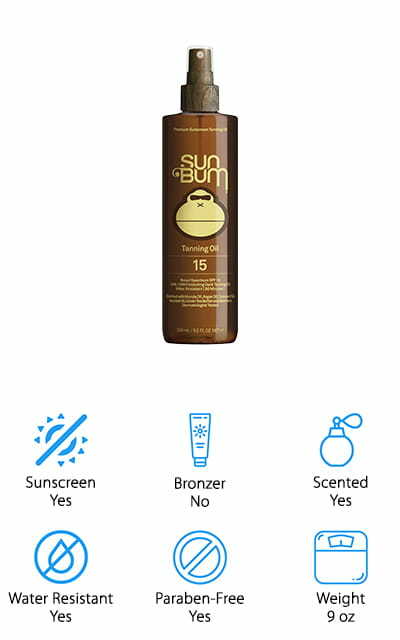 Next up is this Sun Bum tanning oil that’s perfect for anyone who wants to minimize the risks of being out in the sun for extended periods of time while also moisturizing their skin and getting a bit of color. 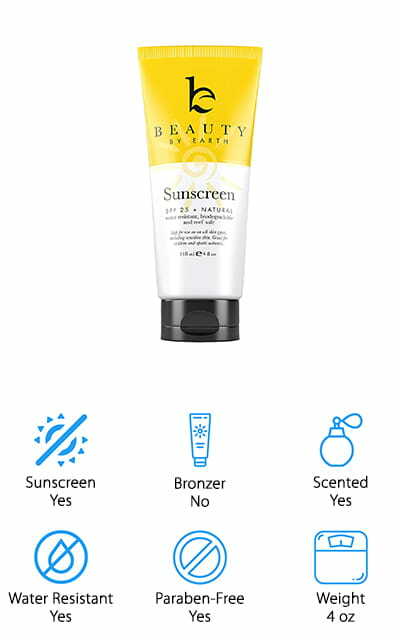 This sunscreen is SPF 15 and provides broad-spectrum protection. It’s water resistant for up to 80 minutes and is gentle and moisturizing on your skin without clogging pores. There are a lot of natural ingredients in this lotion including coconut oil, argan oil, avocado oil, aloe vera, and Kona Coffee Plant extract. This lotion is paraben and phthalate free and is not tested on animals. It has a tropical scent that has a hint of banana that’s really pleasant without being overwhelming. And here’s the best part. This lotion comes in an easy-to-use spray bottle for simple and even application. Our pick for best sunless tanning lotion for fair skin is the Miami Gorgeous LaPlaya Self Tanner. What’s so cool about this product is that it comes out of the bottle as a clear tanning mouse. It dries fast and won’t transfer to your bath towels or bed linens and doesn’t leave behind any residue. This formula hydrates your skin, too, keeping it soft and smooth. After application, the color develops in about 4 to 6 hours, working with your skin tone for a natural look. This indoor tanning lotion for fair skin doesn’t turn your skin orange and slowly fades just as a real tan would. Here’s the kicker, it actually comes with a 100% satisfaction guarantee. If you try it and it doesn’t live up to your expectations, return it for your money back, no questions asked. Our last pick is one that’s pretty well-known. 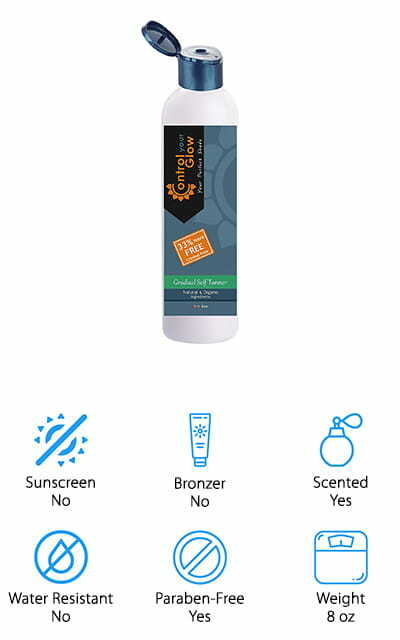 Coppertone Sport Sunscreen is a great choice for fair skin, especially if you’re looking for something to wear outside when you know you’re going to work up a sweat. This formula bonds to skin on contact which means it won’t run into your eyes and sting while you’re working out. That’s not all, it doesn’t leave behind any greasy residue and it’s oil-free, hypoallergenic, and waterproof for up to 80 minutes with proper application. The paraben-free formula doesn’t have any added fragrances but does have a typical strong sunscreen scent that fades over time. T his product provides broad-spectrum SPF 15 protection and will keep you from getting sunburned without irritating your skin. It should be reapplied at least every 2 hours when you’re outside for an extended period of time.